Before the spring season truly wakes up, this is the time to inspect all your trees and shrubs for damaged or diseased branches and structural problems (i.e., crossed, rubbing branches and damaged or split crotches from heavy snow loads). Without foliage, trees and shrubs are very easy to evaluate. The best time to prune is typically late winter to early spring before the plant begins to grow. Pruning should be performed when it does the least amount of damage to the plant. The purpose of pruning is to maintain proper structure and health and to maximize the quality of flowers, fruit, foliage or stems. It can also be used as a manner of training and/or restricting the plant’s growth. 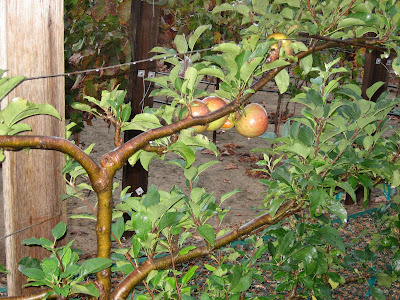 Training fruit trees into an espaliered form on a fence or trellis system is a good example. Always utilize quality pruning tools that are kept sharp and clean. You should avoid spreading diseases with your tools. It is wise to use a can of Lysol and spray your tools between each plant pruning. The real purists disinfect between each cut.